Our factory trained staff have a combined 300+ years of collision repair experience! We offer the capital regions most high tech, state of the art repair facility. We consistantly hold ABOVE A 97+% customer satisfaction rating! At Mohawk Collision we work for you as your advocate, to make sure you receive everything required to put your vehicle back to ORIGINAL CONDITION! Our Installation Staff is Certified and XPEL Factory Trained, the only XPEL Installers in the Capital Region! When you're looking for reliable Collision Center, you might notice an I-CAR Gold Class logo on some websites or in shop windows. This certification matters more than you might think. I-CAR Gold Class is not given out lightly but is earned through rigorous training and maintained by holding to a certain standard of excellence. When you see the I-CAR Gold Class logo, you know the Collision Center is well-versed in State-Of-The-Art Techniques and fully qualified to restore your vehicle to its original condition. 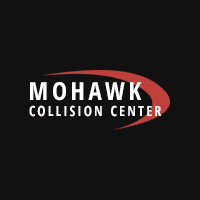 Mohawk Collision Center is a Certified Acura Repair Facility. We have Certified Trained Technicians and know how to get you back on the road, quickly and safely. We have the right tools, equipment, training and facilities necessary to repair Acura vehicles back to manufacturer specifications. ProFirst Certified is American Honda's Collision Center Certification. ProFirst Certified means we have the tools, equipment, training, knowledge and other resources to do the job right. Mohawk Collision Center is a Certified Hyundai Repair Facility. We have Certified Trained Technicians and know how to get you back on the road, quickly and safely. We have the right tools, equipment, training and facilities necessary to repair Hyundai vehicles back to manufacturer specifications. Mohawk Collision Center is a Certified Infiniti Repair Facility. We have Certified Trained Technicians and know how to get you back on the road, quickly and safely. We have the right tools, equipment, training and facilities necessary to repair Infiniti vehicles back to manufacturer specifications. Mohawk Collision Center is a Certified Kia Repair Facility. We have Certified Trained Technicians and know how to get you back on the road, quickly and safely. We have the right tools, equipment, training and facilities necessary to repair Kia vehicles back to manufacturer specifications. Mohawk Collision Center is a Certified Nissan Repair Facility. We have Certified Trained Technicians and know how to get you back on the road, quickly and safely. We have the right tools, equipment, training and facilities necessary to repair Nissan vehicles back to manufacturer specifications. This is my first accident. Can you assist me with turning in a claim? Yes. Our highly trained and experienced customer services staff would be more than happy to assist you through the process. Legally, however, you will be required to speak directly to the insurance company before we can advocate on your behalf. Whether it’s a minor scratch or major automotive reconstruction, Mohawk Collision Center has the professional staff to get your vehicle back on the road and back into original condition. We specialize in all makes and models! And now – with our computerized paint matching system and state-of-the-art paint booth – we’ll make it look like new.